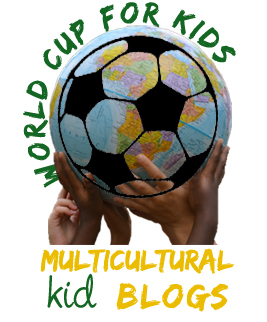 Today’s FIFA World Cup post, in friendship with Multicultural Kids Blogs, is brought to you by the letter “L”, for language. Language, my friends, bridges gaps, repairs seams, & cheers on friends as they make their mark on the world. Language colors the words to a song. Your language tells where you were born, tells people to stop and go. Your language is the music box to your soul. (I swear, I really AM this cheesy. I could write for Hallmark with my eyes closed). It’s what Queen Ursula was after. In it are all the nuances that make you YOU. Dialect, accent, tone. The history of 1st words you ever learned. Today I sat observing a Japanese class at a nearby language school in Tokyo. 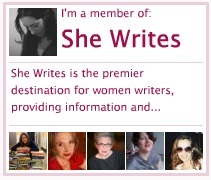 (I’ll be starting there soon, so language and my desperate need is showing up in what I’m writing, of late). I was taken aback when the sensei led me in; what a raucous party. It was part MTV Spring Break and part United Nations. They were making jokes with the teacher, answering questions, practicing one-on-one, but with loud laughter running all over the walls. Fun, fine. Normal. Until I realized, rather learned, that not one of them speaks English. They are from Uzbekistan, Kazakstan, Korea, Thailand, Taiwan, Mexico, …it is their new language, this Japanese, that is the only option, and also the route to knowing these warm people, these new friends. 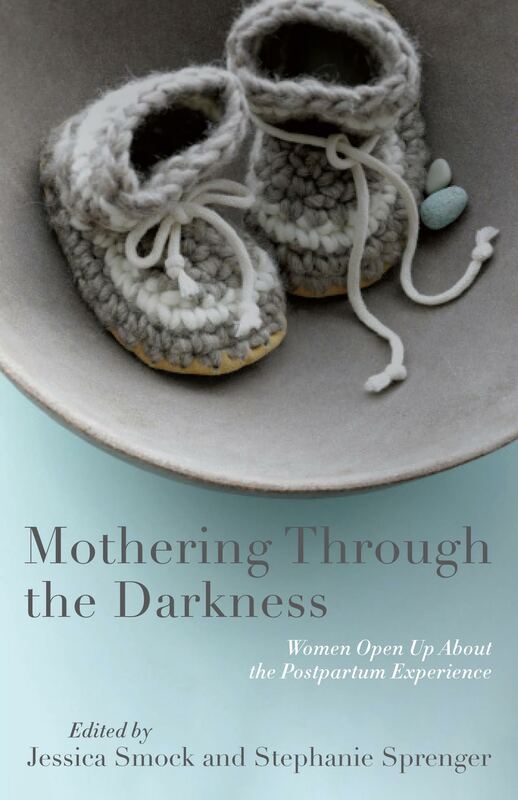 It hit me–learning this language is for a broader picture. It is deciding to go “all in” within your community, to lay down roots and not just flail. Not stay suspended in our own abilities and our own bubble. We need community. We need to grow our voice. Sometimes that looks like cheering. So, dear ones. 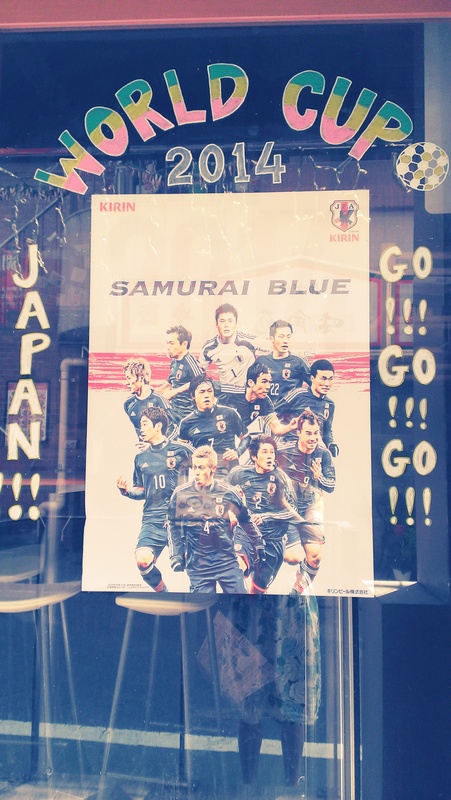 In honor of Language, in honor of Japan playing Greece, Thursday 7 pm, here is a little Japanese primer. *When you see an “i”, pronounce it with a Spanish “i”, or “ee”. * When you see an “e”, pronounce it like “cafe”. (So “sake”, the alcohol, is pronounced “sakai”, like “cafe”. You see this with GANBATTE KUDASAI! , the addition of “please”, for a more polite feel. Maybe you already know “KONICHIWA”? Good afternoon, but also spoken at the first time you see someone that day. “What a small world!”, like if your friend knows someone you know, say, “SEKAI WA SEMAI”, literally “The world is narrow”. Here is a pretty goofy/cute video with more Japanese sports vocabulary. Only the names of sports, actually. Here is a fantastic primer of Japan National facts in the form of a fun video! You’ll learn some facts & hear Japanese language. 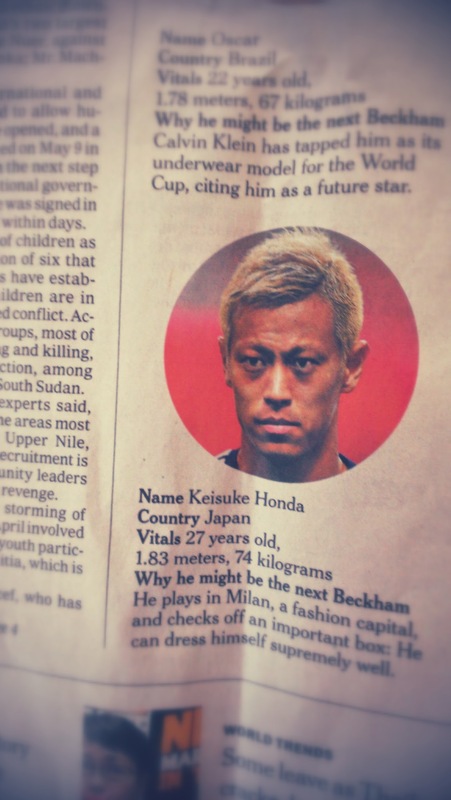 Also, a word to the wise, keep your eyes on Keisuke Honda. The whole world is watching #4. In other recent developments, my daughter has now relinquished her Samurai Blue shirt. “Not girly enough”, she surmised. I’ll try a little cutting and tailoring to perhaps better fit her temperment. Maybe I’ll have that ready by the next World Cup. In lieu of the shirt, I guess we’ll know her or her team by her voice, by her sweet & strong cheer. That’s wonderful! Thanks, Marie! Maybe you can let me know more about her interests in Japan or what she might want to say in Japanese. I’d love to tailor something for her. OOH, or maybe we can create a little care package club! Thank you, my dearest Grandma. Getting ready to get serious with my Japanese!